Michael’s Eyes asks the question, What was the meaning of a miracle whereby a man born blind is given sight; and what was the meaning of the miracle-man’s death at the hands of the authorities; and why did some believe in God’s purposes while others did not? 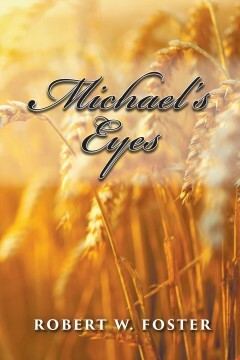 Michael, the man born blind, goes on a search for answers with his wife’s encouragement. After considering the miracles in both their lives, Michael and his remarkable wife arrive at their own conclusions. Robert W. Foster is a retired civil engineer. He graduated from the University of Vermont in 1955 and served in the United States Air Force where he completed pilot training in 1958. He practiced as a consulting engineer in the Framingham, Massachusetts area until his semiretirement in 1992. In his retirement he continues to provide consulting services in construction review, provides dispute resolution services and writes frequently for technical publications. He served as president of the Federation Internationale de Geometre from 1999 to 2002. He has three sons and two grandsons. His wife of 47 years, Margot, died in 2001. He lives in Hopkinton, Massachusetts.